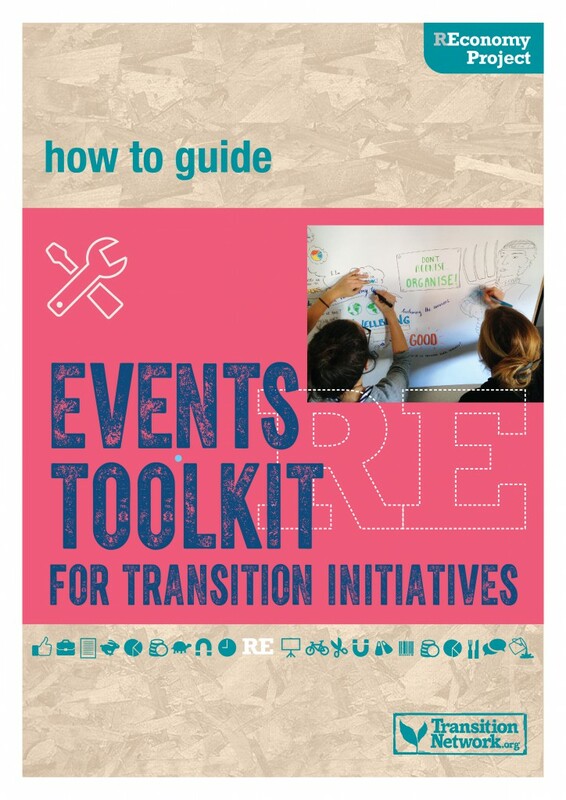 The REconomy Project’s ‘Events Toolkit for Transition Initiatives’ has just been launched. It is one of three new ‘how to’ guides that the REconomy Project has produced. 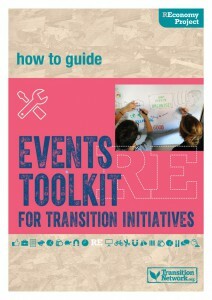 The events toolkit shares learning (about what works, and what doesn’t), outlines essential tasks, and provides a ‘pick and mix’ menu of event modules that can be used to form your own unique event. At the end of each section there are links to useful resources, examples and templates. Some key questions in drafting the toolkit: What do you think makes a REconomy event unique? 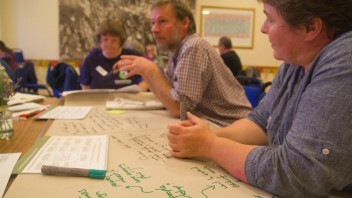 Are there particular challenges that Transition groups face in putting on a REconomy event? It was my job to find out – and create a toolkit for you to use. The obvious place to start: Experience it from the inside and join a team delivering a REconomy event. And so it was that I found myself working alongside the incredibly capable and resourceful Ali and Maria from Transition University of St Andrews, and the REconomy Project team.‘REconomy in Scotland: Reimagine your local economy’ was timed to precede the independence referendum and there was a real buzz in the air. My first task was to secure speakers and workshop leaders for the event and it was fascinating. I spoke to leaders working on food, social care and policy development, and invariably spent as much time discussing politics as the event. Of course, some people said ‘no’. My learning? Don’t be put off if someone doesn’t want to speak. There may be a whole range of reasons for this, and it’s fine. Others were keen – and relished the prompt to get out of the office and come and share, learn and network. I knew from experience that briefing speakers well was key. Some speakers are ‘naturals’ and will deliver effortlessly. There are others that, however well you brief them, tend to wander off track. They need someone allocated to work alongside them on the day to ensure they deliver their best. A couple of months later, and I was on the train to St Andrews. I love train travel. There is something about being neither here nor there (and the stunning views as I headed north) that frees the mind. The next day, we were straight into the fray. Whilst the rest of the team ran a gathering of Scottish Transition groups, a colleague and I were setting up the room for the event. However long you think this is going to take you – double it! Room layout, technology, refreshments, decorations, displays, getting the temperature right, trying to find things you need in a place you are unfamiliar with…. We’d barely had time for a bite of lunch before our speakers and attendees began to arrive. It was time to activate operation ‘smooth event’. Smooth operators are vital to an event of this scale. People to spot when a queue is building at the reception desk and leap in to lend a hand, to bring extra chairs once they are all taken, to let late comers in with minimum disruption, to switch on the hot water urn in anticipation of a tea break. A team of student volunteers helped with all this and more – the real unsung heroes of the event. The event passed in a blur of great conversations, tea, cake, and inspiration. Mindful of writing the toolkit I was constantly asking myself what had gone well, what we could have done better, what the highlights were, and where the gaps were. There’s nothing like some ‘action research’! Many people lingered to talk (a sign of a good event I think), but then it was down to clearing up. Much quicker than setting up, but by that point energy levels were fading. Luckily, the St Andrews student team were once again on hand to make light of the work. Right, so I’d been there, done that, and gleaned lots of tips and information for the toolkit. My next stop was to learn from others who had gone before. 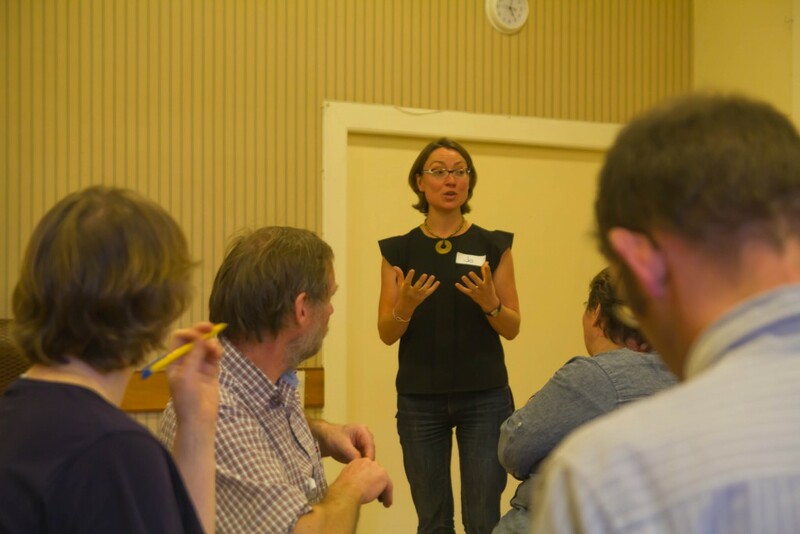 There is a huge amount of experience of running great events within the Transition movement, and a culture of taking time to capture experiences and learning. 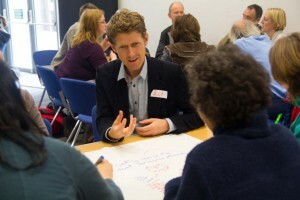 The event write ups from previous REconomy events – in UK and all over Europe – were gold dust in building the toolkit. No two REconomy events are the same, and approaches and styles have varied depending on what event organisers wanted to achieve. 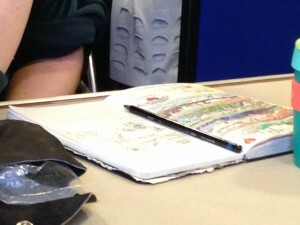 Organisers I have spoken to have also been generously open and frank about what didn’t go well, as well as what did. The next task was to build a framework for the toolkit to accommodate all the information I’d gathered. I started with a ‘does what is says on the tin’ type structure, but found that this evolved over time as I started writing. The final structure begins by looking at all aspects of planning an event, provides a ‘pick and mix’ of event modules to choose from, tackles publicity, practicalities (venue, catering etc.) and ends by focusing on reflection and celebration. One of the reasons for a specific REconomy event toolkit is that REconomy events aren’t like other events. They are underpinned by the principles, values and grassroots passion that are Transition. Teasing out how this manifests itself via an event was an interesting process, much helped by some powerful insights from Transition groups and the Transition Network team. We discussed how to create events that stimulate the head, heart and soul. We explored ideas including infusing events with appreciation and celebration, showcasing success stories, linking the local and the global, tackling tricky topics and being honest about tensions or things that haven’t worked, making space for dreaming and reflecting rather than allowing doing to dominate, and taking people outside of their comfort zones in a supported way. 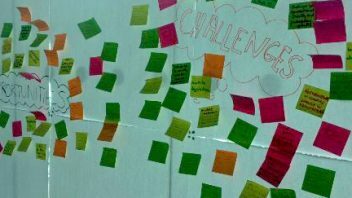 In the toolkit, we’ve tried to distil out some practical ways to do this in the context of an event. So, I’ve learned a lot and had some great experiences along the way. My highlights? 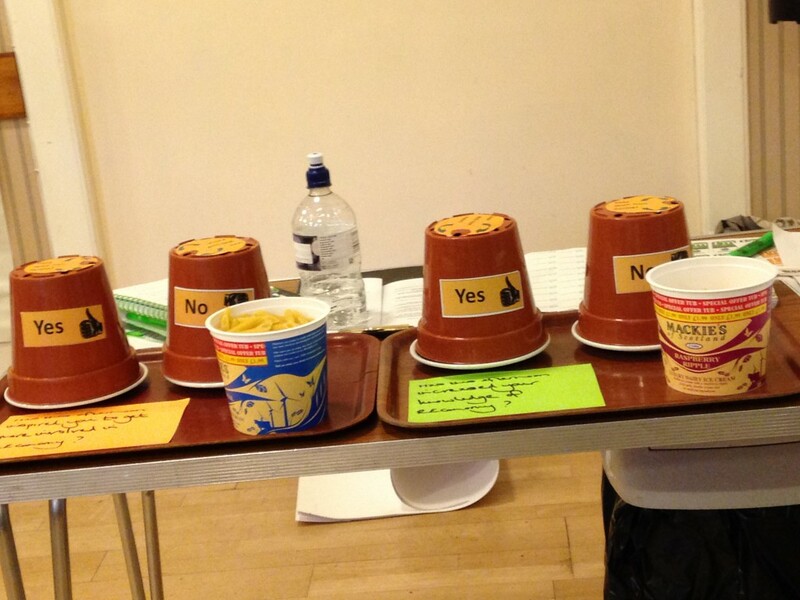 Meeting a pasta-based tool for collecting feedback called ‘penne for your thoughts’ (get it?) at the St Andrews event. Hearing about some of the ways to balance gender participation at events. Did you know that more women ask speakers questions if you give people a chance to discuss a presentation briefly with their neighbour before inviting questions? 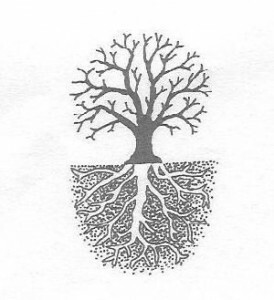 Enjoying ways to nourish the whole person at events – poetry, laughter, yoga, music. Seeing the work of St Andrews student Maria in creating paintings inspired by talks at the St Andrews event. Above all, being inspired by what REconomy projects are achieving, and the huge potential of REconomy that is beginning to be unleashed. It is not about making the event as smooth and efficient as possible, minimising workload and man-hours. 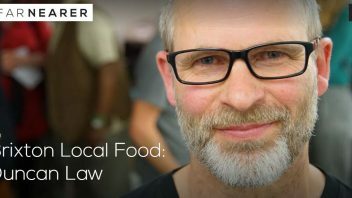 It is about spreading a feeling densely and widely in the community that we are all part of something here, and how better to do that than actually inviting people to help bring about that feeling? So, grab a copy of the Events Toolkit and get reading. 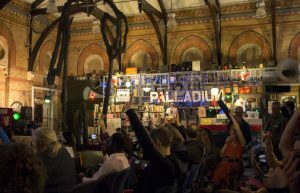 Please use it, scribble on it, share it, copy it, use it to prop up the projector at your REconomy event – and let us know what you like about it, and what you don’t. With the very best of luck for running your own inspiring, fun REconomy event, and the flowering of your own REconomy project. About the author of this blog: Jo is a freelance consultant working with the REconomy Project. This REconomy Project work is generously supported by the Friends Provident Foundation and the Polden-Puckham Charitable Foundation. In my view, we should be very carefull not to define a fix blue print on RE economy because it is little we do really know about it should promote a localization of basic services from the bottom up. Besides, it would seem that the principle of “basic services” has not been well defined and agreed by all.